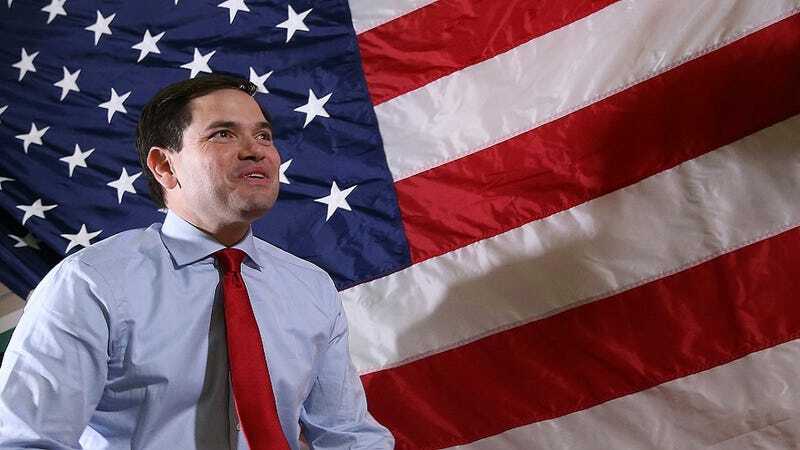 Are you mourning the loss of Marco Rubio, America’s favorite and first android presidential hopeful in the GOP primary? I am, guys. So hard. My rainbow heart is bleeding tiny elephants. I mean, I know that robots are incapable of shedding tears, but I keep picturing that Ken doll-haired bipedal automaton with the saddest face his synthetic skin and titanium parts can muster, murmuring “does not compute” over and over. And because of this, here are ways in which I’d comfort Rubio if I’d voted for him on Super Tuesday: The Second Coming. “Hey Robo-Rubio, don’t be so sad. You wanna play in a park? We can go play in a park. ...yeah, that’s all I got.